Today's data centers require security appliances that deliver exceptional performance, deployment flexibility and extensive security features, to protect the most demanding network environments. 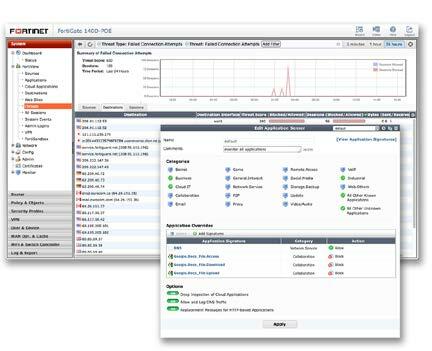 The FortiGate 3200D device is ideally suited for network segmentation and internal network threat protection in data centers with its 48 10 GE interfaces. Note: All performance values are "up to" and vary depending on system configuration. Antivirus performance is measured using 44 Kbyte HTTP files. IPS performance is measured using 1 Mbyte HTTP files. IPsec VPN performance is based on 512 byte UDP packets using AES-256+SHA1. Download the Fortinet FortiGate 3200D Datasheet (PDF).